We are committed to protecting you and your personal information. We do not share or sell contact information to third parties (note the information on Payments processed via Google Checkout). We collect all information relating to your order which includes items ordered, order date, order amount, customer name and shipping address. We do not share this information with 3rd parties outwith our corporate structure and data is kept securely. We do not use your contact details in marketing campaigns. we do not sell or share any information with 3rd parties. . 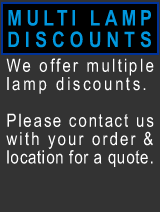 If you'd like any further information please contact us at info@every-projector-lamp.co.uk.